Cold weather sets the garden back. The first really cold nights and days have had their way with the garden, so I have been out to check for damage. I would expect the cold weather to set the garden back somewhat, but all appears to be in good order. Bulbs are still pushing through, and early perennials still have their first growth showing. Those that had made premature advances look to have been set back, including the Verbena Bonariensis that I have already taken cuttings from this year. I have already started sowing seeds of some vegetables, exotics and hardy perennials. These include Rotoco Chillies, broad beans and peas, and Delphiniums, Verbena Bonariensis and Echinacea. As these are in heated propagators they don’t seem to have been affected. I have also checked my summer tubers stored in crates in the greenhouse. Dahlias, Cannas, Callas and some Lillies are all wrapped in paper and then put in closed boxes. Damp can cause problems, and cold damp can easily wipe out your stock/. So far though, they are all OK. In fact the Cannas were sending up new shoots like it was April. Grasses are starting to shoot, and if that continues too fast I may have to cut back last years growth earlier than I’d like; normally a late February job. All in all, no damage done so far, my worries over the early start afforded by mild weather unfounded. Some plants have started to show signs of the increasing cold, notably the various Crocosmias. The C. George Davison had been showing strong growth, but that is all burned back. The C. Masonorium has also succumbed, even though it’s a very tough plant. Only those under some shelter have escaped. The V. Bonariensis has seen the new shoots stopped and they are now browning off. And the electric fresh green of the Nerines has been tempered and browned. Positively, the bulbs have been set back a little, though not enough to stop the February Gold coming into flower at least 3 weeks before I’d wanted them. Making a compost bin – from the ground up. Making a compost bin must be the first consideration in any garden. It will provide a place to lose all the natural waste generated. And no matter how much it is neglected, that will turn into good useful compost or soil conditioner. The product of the compost heap is where I start my thinking. I need mulches for beds of perennials, which protects and nourishes as well as conditions the soil. I also need soil conditioner for vegetable beds and for any new flower beds. And I need the finer components to bulk out other composts when potting on seedlings or divided perennials. So if there was no compost heap, I would be facing a hefty bill from the garden centre. Compost from the heap is not a complete replacement for purchased compost. You still need that assured standard throughout the year. My personal favourite is B&Q’s own brand Verve, which I tried after reading it was rated number one by Which? magazine. I have not since had cause to try anything else. But making a compost bin and the implied management of it can put people off. 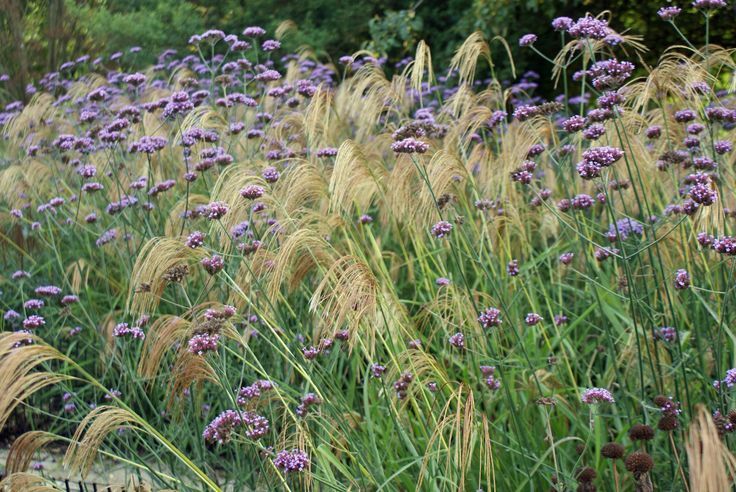 It will take space, and it will take time to “turn”, as we are continually told in the garden media. But I think there is a way that is relatively simple to manage – including the required “turning”. And it takes a fraction of the time that a standard compost bin might. I have tried this in the smaller of my two bins, and it really works. Rather than having a set amount of space and filling it all with garden waste, you have a longer and thinner enclosure. This is two to three metres long, by up to a metre wide, depending on the space available and the amount of material likely to be added. 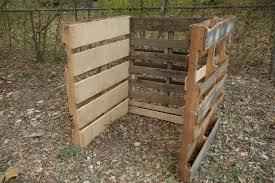 Making a compost bin using easily available wooden pallets is easy. One at the closed end, and two or three along each side secured together with some of that surplus timber that every household seems to have. Using the 1.2 metre “europallets” gives a good length but not the height, so are easier to lean over to manage. Pallets used to deliver paper to printers are also OK. Filling starts at the closed end and after a month is “rolled” into the middle section. Meanwhile any new material is added at the first stage. One month later the process is repeated, with the contents of the middle section rolling to the open end. Then move section one to the middle, leaving an open space at section one to start filling again. Some points to remember that may not be obvious. Leave the bottom open to allow worms and insects in. If under a canopy or in shade, leave the top open, but if in full sun or exposed form some sort of cover, something like carpet. there are times to cover, and times not to. This extract from Gardenweb sums up the conflict. If the weather forecast is calling for 25 millimetres (or more) of rain and your pile already had adequate moisture, throwing a piece of plastic over it for the weather event will do little, if any, harm and will likely save some grief in the long run.If the pile had adequate moisture to begin with, throwing a tarp over it will not add more moisture and make the pile too wet, this is not logical. In extremely dry or windy weather, throwing a tarp over it may conserve what moisture it had. If the pile is made up of very dry leaves, covering the pile with a tarp for a few days seems to help those leaves absorb the moisture, through the high humidity. But a tarp thrown over a pile isn’t a ziploc bag, so water may be needed. There are numerous reasons why one might want to cover a pile, as there are numerous reasons why one might not want to cover a pile. When adding to the compost pile try to mix the addition by the composition, some nitrogen based, some carbon based etc. The “what to compost” section at eartheasy.com has a great table explaining the various components. That may then imply that some materials wait for a while before being added, either next to the compost bin, or if there is just too much put it in your green garden waste recycling bin. To the obvious question “do I use this myself?” The answer is no. I inherited compost heaps in a particular place, and had no need or desire to move them. But I did clean them up and make a two bin arrangement that takes just an hour or so each month to turn. I move new usable compost into tonne bags, rolling the next section forward and filling up from an adjacent bin. But I enjoy the workout! Making a compost bin will be part of a garden workshop later in the year, as will what to do with all those leaves in autumn. This workshop will be held on Saturday March 5th at 10.00am. Sowing seeds is something most gardeners recognise as a potentially rewarding and money saving exercise. 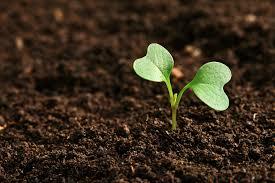 But when I first started sowing seeds, every one success was tinged with three failures. That led to seeds often being left in the packet, where they are pretty much guaranteed not to grow. Over many years I have discovered some things that make a difference, making sowing seeds a rewarding task and not a frustration. The wrong timing, temperature and light levels have in the past left me with empty seed packets and seeds trays filled with dormant soil. And then the continual debate as to whether the trays should be left a little longer just-in-case, or the contents consigned to the compost heap and trays put to better use. Finding the right tools and equipment, significantly at the right price, has made sowing seeds an enjoyable experience, and a rewarding one with large numbers of plants to use in the garden to give to friends. The sowing seeds garden workshop will explore gathering seeds through growing on after germination. My garden workshops will only be able to host a limited number of guests on each occasion, on a first come or invitation basis, and are intended to impart and share knowledge, not as a commercial venture. They are a free introduction to me. Some events will be covered presented by myself, but I also hope to introduce other local garden enthusiasts with particular passions and specialist knowledge.